What Are the Inheritance Tax Regulations in Australia? It is a common question as to what the inheritance tax regulations are within Australia. In terms of Australia, there is no inheritance tax, gift tax, real estate transfer tax, endowment tax, transfer duty or net wealth tax. That said, there are some exceptions where taxation becomes necessary upon death. Where the Australian tax regulations get complicated is when a relative passes away and the individual set to inherit is a foreign resident. Regardless of where the individual is a resident externally, there becomes a Capital Gains Tax (CGT) liability that passes to the individual to inherit, which occurs due to the vesting of the trust upon the death of a family member. These taxes can be as much as 16.5% if careful estate planning is not conducted both before the death of the deceased and immediately after when the Will is being read and implemented by the executor. Within this exception of no inheritance tax, there is also another area that is quite grey and requires the analysis of an attorney on a case-by-case basis. 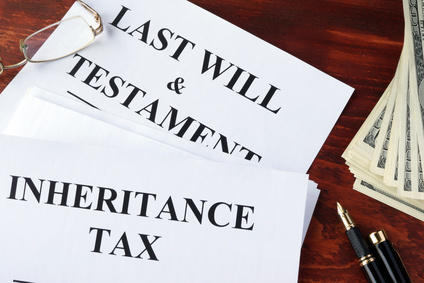 One of the most common Capital Gains Tax (CGT) that can occur is related to when an individual inherits a house under a deceased’s Will. The way that the property is managed at the immediate stage after the deceased’s death will have a significant weight on whether the individual to inherit has taxation responsibility in terms of Capital Gains Tax (CGT). One possible avenue to pursue is to sell the property within two years of the deceased’s death, which will cause the individual to inherit to not legally have to pay Capital Gains Tax (CGT). Another possible exception to this is if the property remains the main residence of the spouse after the deceased dies and the surviving spouse retains a life estate in the property. What this achieves is that the individual may be set to inherit the home, but will not have to pay Capital Gains Tax (CGT) due to the surviving spouse residing in the residence. What Is Import to Understand if You Reside in the US or UK? United States: Between the United States and Australia there is a United States – Australia Gift Tax Treaty that was signed on May 14, 1953. The United States, to date, still honours treaty with respect to property that is inherited located on Australian soil that has been gifted to United States citizens or residents. What the treaty’s purpose is regards avoiding double taxation between the countries with a historically very friendly relationship. To delve into the specifics of this treaty, it is going to depend on the type of property inherited and the amount in question. Hiring legal counsel will help you to ascertain how to use this treaty to your ultimate advantage. United Kingdom: It is important that UK residents have to be quite careful in terms of trusts and taxation. Another factor to consider when dealing with Australian property and potential UK beneficiaries is to ascertain whether the deceased was ever deemed to be UK resident when they drafted their estate planning and whether the property was located outside of the UK. If this individual was a UK citizen, for example, establishing a trust when they were not deemed a resident of the UK, would help the beneficiary avoid UK inheritance tax regulations. The UK has a rigorous test of determining whether the deceased, when they were living, were in fact a resident a UK in terms of having the appropriate domicile. Once the legal inquiry reaches this level of specification, it is essential to have lawyers both in Australia and the UK to assess what the best options are for the beneficiary to fall within the exception of taxation and pay the least amount legally possible. Plan Before Death: It is quite alarming how many individuals do not see the value of estate planning and the possible burdens that it places on family members should they receive the property without proper planning. This is precisely why it is essential for the deceased to plan their Will carefully before they pass away. Part of this investment involves speaking with an attorney and assessing the realistic value of the individual’s assets. Once this occurs, options can be discussed of how to have the best possible taxation option available to that are set to inherit. This is particularly true if the individual has family members that are citizens of foreign countries. Tax effective transfer of the assets intended to be transferred to the proper beneficiaries. Incapacity of the deceased is assessed and the proper responsibility is given to care for their affairs and if a spouse, not have provisions that make the tax protections void in the spouses own will. Asset protection implications should be studied carefully and considered to ensure they are the most efficient on a case-by-case basis. Seek Legal Counsel to Interpret the Will or Trust: This step can happen once the individual learns that they are set to inherit or in the immediate period after the deceased dies. In either case, receiving the advice of legal counsel will be vital to determine the opportune way to avoid high taxation rates on a case-by-case basis. It is vital to understand that while Australia does not have strict inheritance tax regulations like the United States, it still does have some grey areas that if left not researched, could add up to substantial taxation fees, particularly when dealing with the large amount of capital involved in real estate inheritance. Follow the Executor’s Instructions: Upon the death of a family member, it is important to assess who the executor is and how efficiently they are doing their job. At times, executors do not behave ethically. If this is the case, it is important to respond sooner rather than later. Remember that it is your right to ask to see the will or trust document to verify what you are to receive. This way, you will be informed of what will transpire next and what obligations you should expect to be responsible for. Verify Your Home Country’s Taxation Laws if a Foreign Resident: International taxation is a major issue when it comes to all of the individuals that are relocating between different jurisdictions. If you are a resident of another jurisdiction and realise that you are about to inherit a piece of property in Australia, then it is wise to seek legal counsel in both countries or to hire a firm that has offices in both countries. This will ensure that you have the accurate information on both sides of the transaction. Taxation treaties differ depending on jurisdiction and you will serve yourself well by having both opinions before you write any checks for taxation. File the Appropriate Tax Return: Typically, the executor is responsible for filing the tax return. This is the best scenario for a beneficiary that is set to inherit property. Upon filing of the tax return at the proper time of year, the taxes will be paid and the transaction will be completed. These taxes will be dependent on the amount of property inherited and the proper estate planning that has transpired. Fx companies, like the ones discussed on our banking guide, may be able to provide free guidance and connect you with the right resources. One example of such company with local Australian offices is World First. Inheritance taxes are something that should be researched upon learning that you are set to inherit property in any country. In terms of inheriting property in Australia, it is important to be aware of your taxation treaty if you are citizen or permanent resident of a foreign jurisdiction. It is possible that there is a treaty that will protect you from double taxation. That said, proper estate planning both by the deceased and you will allow you to pay less taxes than had you not researched all of the legal options available to you. The best course of action is going to be to hire counsel to assist you with the fine print depending on the value of the property that you will be inheriting. Once you make this investment, you will see that you will have a comprehensive understanding of what options are available to you. Bear in mind that if you are a citizen of the United States or United Kingdom that there are absolutely options available to you to protect you from burdensome taxation. Once you take the time to investigate your options, you will be able to proceed with the process of inheriting property in Australia with ease.